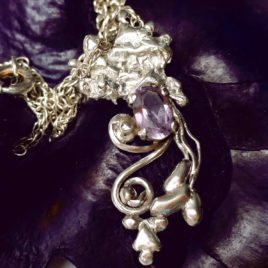 View cart “Amethyst charm necklace 925 silver” has been added to your cart. 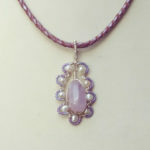 Amethyst pearl necklace, wire wrapped 5×1,5 cm amethyst pendant, miyuki beads and genuine pearls, purple leather custom necklace Tumbled amethyst pendant set in sterling silver. 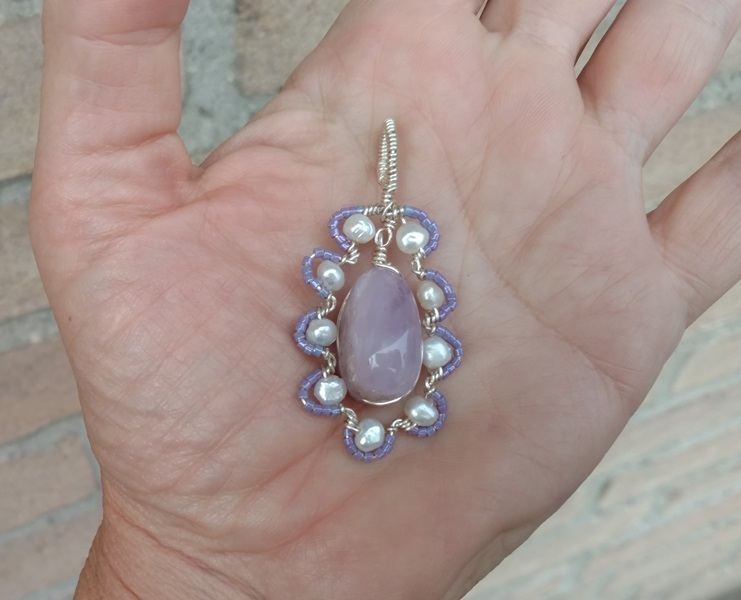 Gracious and feminine, this tumbled amethyst pendant is an excellent bridal er engagement gift, since the amethyst is a symbol of faithful love. 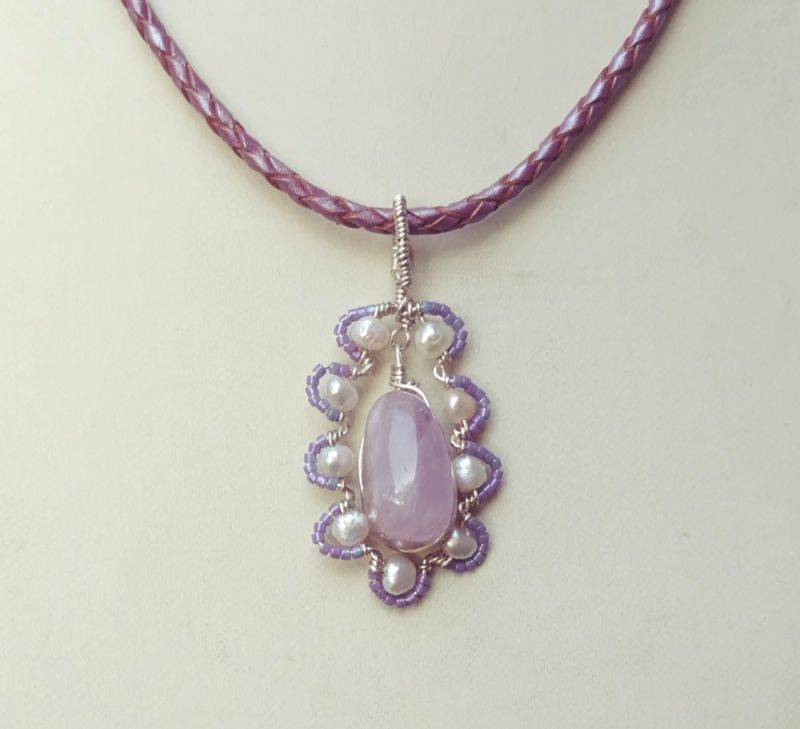 This gracious amethyst pendant is centered around a wire-wrapped light purple tumbled amethyst stone. Oval in shape, appr. 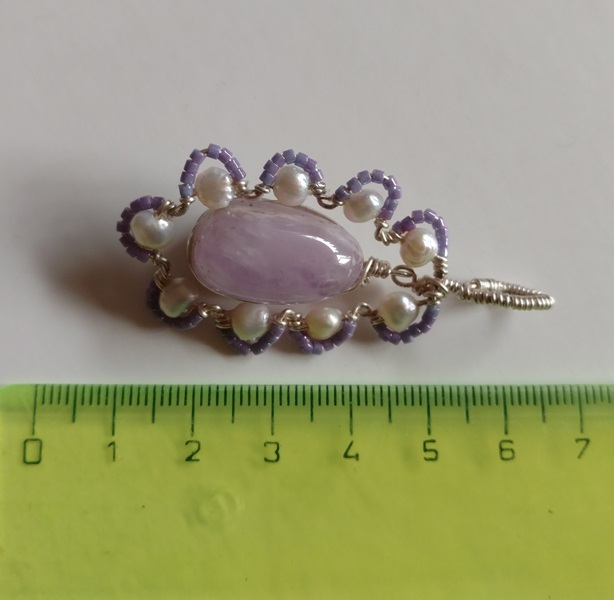 12×10 mm large. Looks like an egg. 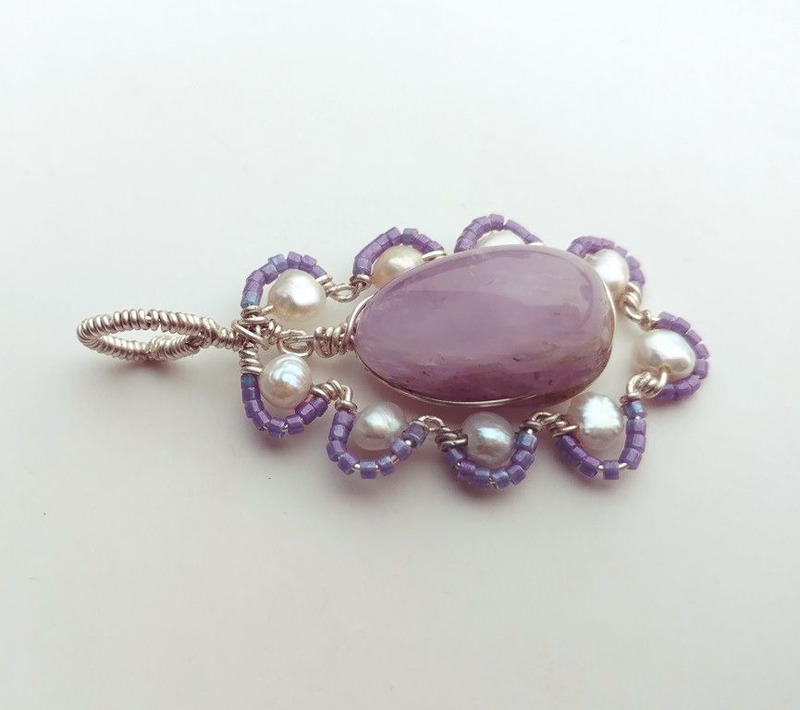 The stone is surrounded by genuine pearl and miyuki beads beaded onto a silver plated wire. 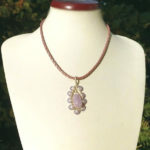 It makes a nice frame matching in color with the light purple amethyst. 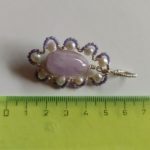 The pendant is 5×1,5 cm large. 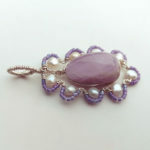 Amethyst pearl necklace will be delivered on a purple metallic leather chain, two options of choice. Braided and plain, 3 or 2 mm thick. See pictures. The thicker braided chain (3mm) and the thinner plain chain are available in 3 length sizes (40, 45 and 50 cm). Both leather chains will be finished with a silver colored clasp. Amethyst is purple quartz. 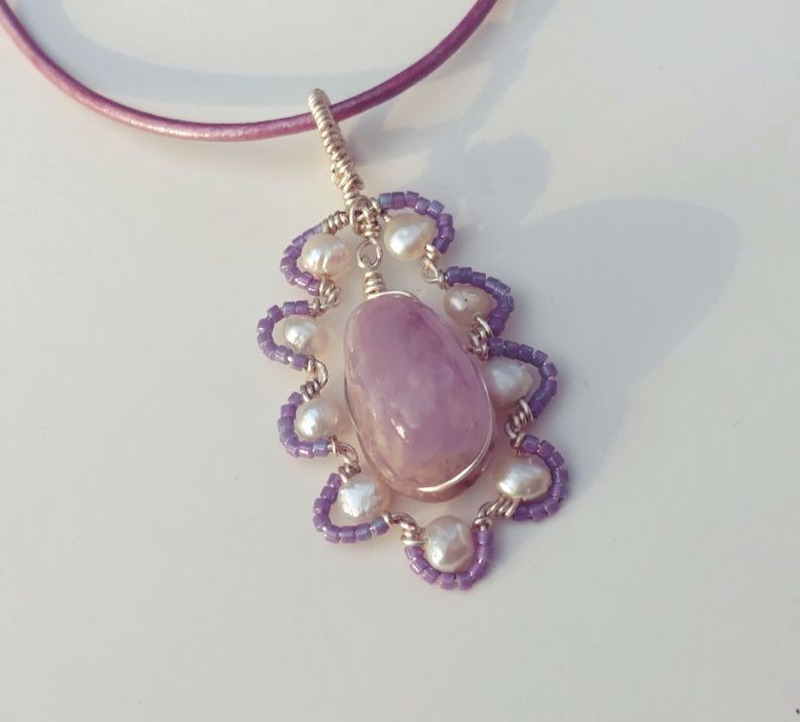 The name Amethyst derives from the Greek word ametusthos, meaning “not intoxicated,” It rules the 7th Chakra and connects us with the Universal. 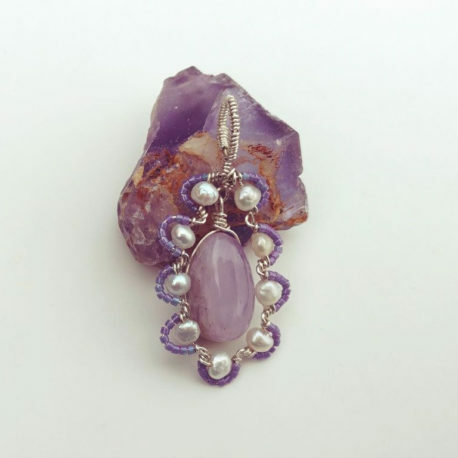 Purple Amethyst has been highly esteemed throughout the ages for its stunning beauty and legendary powers to stimulate, and soothe, the mind and emotions. It has always been associated with February, the month the Romans dedicated to Neptune, their water-god, and is the traditional birthstone of that month. It is the stone of St. Valentine and faithful love, and signifies ecclesiastical dignity as the Bishop’s Stone. It carries the energy of fire and passion, creativity and spirituality, yet bears the logic of temperance and sobriety. Emotionally, amethyst can help heal personal losses and grief. 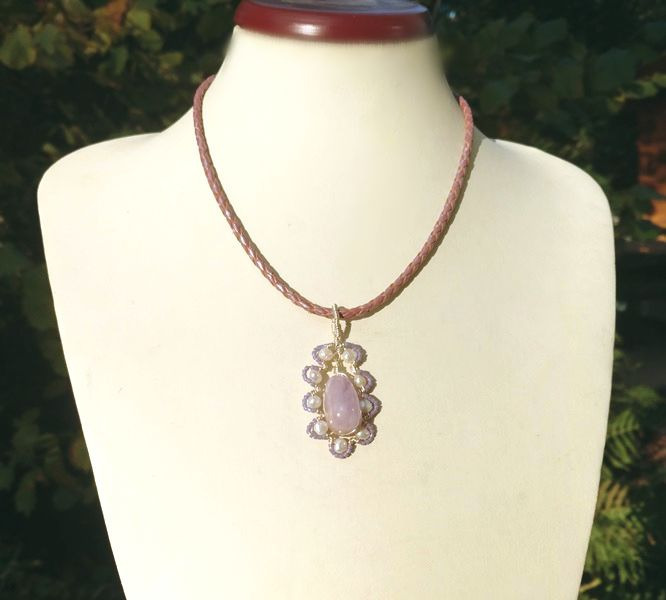 Amethyst has a gently sedative energy that promotes peacefulness, happiness, and contentment. It also brings emotional stability and inner strength. 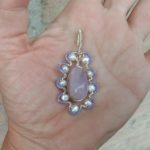 Amethyst can help get rid of addictions (alcohol, drugs, smoking, etc.) and compulsive behaviors of all kinds. Amethysts are different in quality: a non-transparent variety is considered a semi-precious stone in today’s classifications. While the deep and transparent variety has been called by the ancients a “Gem of Fire,” a Precious Stone worth, at times in history, as much as a Diamond. 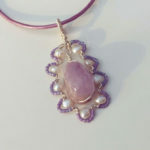 It is one of my favourite stones: my personal experiences with Amazing amethyst are described here.